It is recommended that you book as early as possible (especially for the helicopter transfer services), due to the high demand and limited number of helicopters. On the other hand, it is rather flexible for passengers who wish to book helicopter sightseeing or themed-based tours with us. Passport or Identity Card Number MUST BE brought along, to check-in at the helipad/heliport and before boarding the helicopter for the tour or transfer. Camera or Video Camera to capture amazing shots of the incredible, scenic and aerial views of Mauritius. It is good to note that the baggage space on the helicopter is limited. With 1 or 2 passengers, two normal-sized suitcases may be brought along. In the case of 3 or 4 passengers, only hand baggage can be brought onboard (1 per person). In case baggage is oversized and cannot be accommodated, arrangements will have to be made for a baggage transfer, at an additional cost. The carrier shall have the right to refuse carriage of any baggage on the flight. The client takes note of and agrees that no dangerous goods, as defined by the Carrier under IATA Dangerous Goods Regulations, shall be carried in any baggage or on any person. The carriage of any firearm/s is expressly prohibited. The carrier is not obliged to accept luggage or baggage with a ‘Special Declaration of Value’. Delivery of baggage will be made to the bearer of the helicopter / baggage ticket. In order to avoid disappointments it is recommended that you book as earlier as possible, especially for the helicopter transfer services. You can completely rely on our reservation officers who will always ensure a smooth and hassle-free helicopter booking. 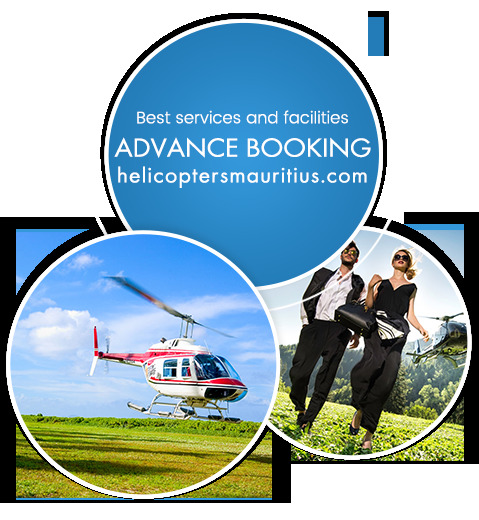 Please note that we receive high demand of helicopter flight bookings and have a limited capacity. It is therefore becomes imperative to book at least one week in advance during low seasons and one month for peak seasons. Direct marketing and market research (unless you have indicated at the time of booking that you do not wish to be contacted for these reasons). Please note that for safety reasons the passengers and their baggage/handbag will be weighed by ground staff as a means of verification before boarding. In case the weight variance at time of verification is well above weight given at time of booking, passengers may be denied boarding. Upon request, our company can provide a luggage land transfer in a dedicated vehicle directly from the airport to your place of accommodation. This luggage transfer service is provided for a supplement. The helicopters have limited storage place and accordingly, it is required to consider the luggage limitations when booking the airport transfer service.